Whenever we read of lotto winners jetting off on a fabulous family holiday, second honeymoon or the like, we always hear tales of exotic island vacations, beach getaways and tropical mini breaks. Which of course sound fabulous and make us green with envy. If only! But what about the lotto winners who don't enjoy slathering themselves in cocoa butter and baking in the sun for hours on end? Surely there are other places just as luxurious for them to spend their millions? We'd hate to think of any of our lotto winners missing out on the trip of a lifetime just because they're winter bunnies rather than summer lovers. That's why we've put together a list of the world's most extravagant cold weather holidays, for those lotto players who prefer to wrap up warm rather than letting it all hang out. Hot cocoa anyone? Just because you're going on a winter vacation doesn't mean you can't go on a cruise; although instead of making port along the Mediterranean, this cruise will be taking you to the home of Santa himself - the North Pole! 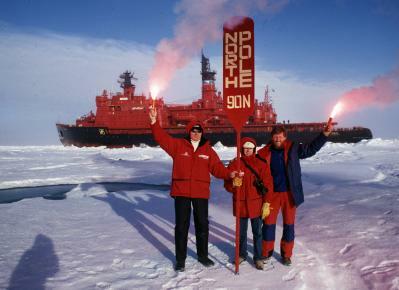 That's right, for the low-budget price of just $24,000 per person, you can book yourself a cabin aboard 50 Years of Victory - a nuclear-powered ship that holds the distinction of being the world's most powerful icebreaker. Leaving from Murmansk, Russia, the 14-day trip includes a lap pool, a hot-air balloon ride, and a helicopter flip over the frozen tundras of the Arctic. Bonus points if you spot Santa's workshop from the sky! Speaking of helicopters, if you're the adrenaline junkie type, then we've got just the adventure for you - a heli-ski in British Columbia, Canada. Stop in at Bighorn Resort, one of the world's most luxurious heli-ski lodges, and enjoy a week of uninterrupted outdoor thrills! You'll have your own private helipad, exclusive lodge with massage rooms and cinema, as well as guidance from some of the world's leading heli-skiing experts. Because who needs bungee jumping when you can launch yourself out of a helicopter instead? 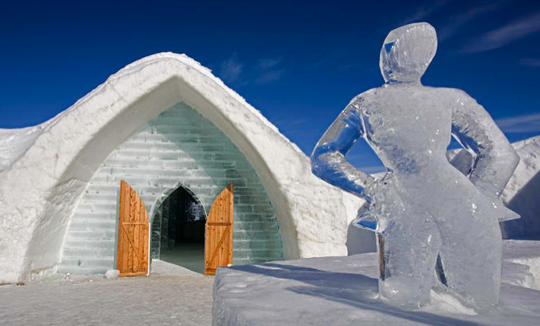 If relaxation is more your style, book a room at the world's ultimate chill-out zone - the Hotel de Glace in Quebec City, Canada. 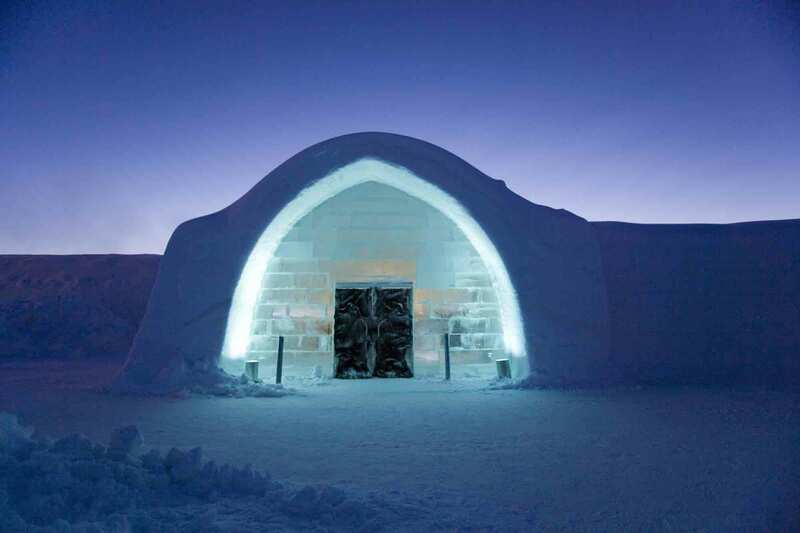 Carved entirely from ice, the hotel runs every year from January to March, and offers guests the chance to live, eat, and play in an environment crafted entirely from ice and snow. At $1,000 per night per couple, it comes with a cool price tag, but it's nothing a lotto winner wouldn't be able to afford. 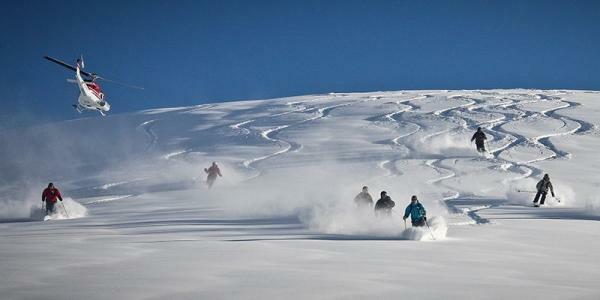 Shivering with excitement yet? Then it's time to get your ticket to jackpot riches with GiantLottos.com! Just buy your lottery tickets online in time for tonight's Powerball and UK Lotto draws, and you could soon be enjoying your very own winter wonderland experience. One lucky number combination is all it takes, and you and your loved ones could soon be packing your bags for snowboarding, skiing, snuggling, and a whole host of other cold weather delights, courtesy of GiantLottos.com and your very own lotto jackpot!